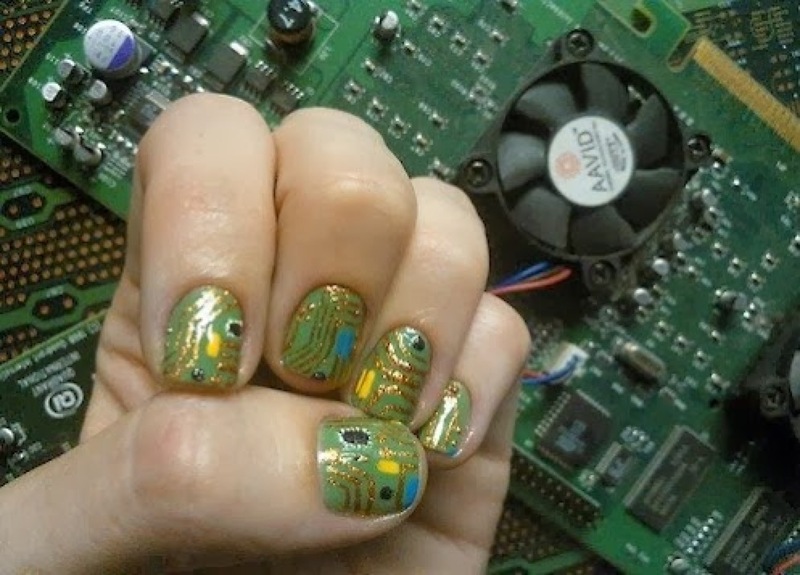 Circuit board nails :) « Adafruit Industries – Makers, hackers, artists, designers and engineers! battery and resistor glued onto one index fingernail with working traces out to the front of the nail. 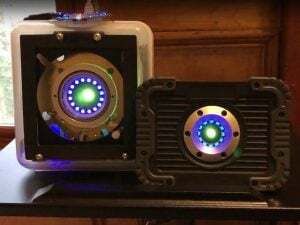 Other people could have small LEDs with traces on their index fingernail….